We’re here to make your life easier. People love quality and your customers are no different. Whatever you need for your fruit juice and smoothie offering, we can offer a complete solution that joins up seamlessly with your catering operation. You could be looking for freshly pressed, not from concentrate, ice teas or multivitamin drinks…or maybe its vitamin packed super juices and smoothies. With seasonal flavours, organic, Fairtrade and low sugar products suitable for diabetics we can work with you to create a tailored drinks solution. 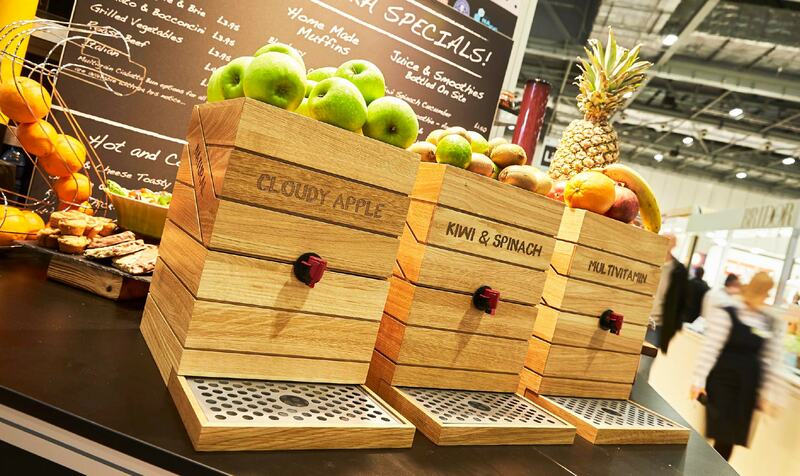 We’re a leading international supplier of juice and dispensing solutions for the hotel, leisure, foodservice, education and healthcare sectors. A completely fresh and innovative approach to your natural juice offering all wrapped up with the finest of products. We love hospitality. A good job too; as we are involved with a wide variety of catering operations – hotels, spas, leisure, travel hubs, foodservice, education, stadium and healthcare. So how do we help the environment and add to your bottom line? Covering all the stuff we want to share including industry news, commentary on flavour trends, new products and anything else that happens to take our fancy.